Most college students have limited experience with credit cards and other forms of credit. Accordingly, their credit histories are often thin or nonexistent. Therefore, the single most important reason for students to apply for credit cards is to build a positive credit history. Students keen on building credit quickly need to look for cards that report timely payments to one or more (ideally all three) consumer credit reporting bureaus – and then keep up their end of the bargain by making in-full, on-time payments. The best student credit cards generally have low fees, reasonable APRs, and perks that specifically appeal to college students. A few even have cash back programs that reward spending on gas, groceries, dining out, and other routine purchases. Here’s a look at some of the best options on the market today. Journey® Student Rewards from Capital One® is a low-fee student credit card that’s ideal for students with decent credit and a penchant for cash back rewards. Its biggest benefit is definitely the cash back program. You’ll earn 1% cash back on all purchases and get a 0.25% cash back bonus each month that you pay your statement on time. You can redeem your rewards as a statement credit or check at any time, in any amount. Other perks include an automatic credit line increase after 5 months of on-time payments, minimal fees, and the perks associated with the Capital One CreditWise feature – a great credit education tool. Early Spend Bonus: There’s no early spend bonus. Rewards and Redemption: You’ll earn unlimited 1% cash back on all eligible purchases. When you pay your statement balance on time, you’ll get a 0.25% cash back bonus. Redeem your accumulated cash back in any amount, at any time. You can also set your rewards balance to redeem at $25, $50, $100, or $200, or on a pre-determined date. Key Fees: There’s no annual fee or foreign transaction fee. Late payments cost up to $38. Cash advances cost $10 or 3%, whichever is greater. Introductory APR: There’s no introductory APR. Other Perks: The Capital One CreditWise feature includes a “what-if simulator” that you can use to predict changes in your credit score and debt load based on hypothetical financial actions and events. 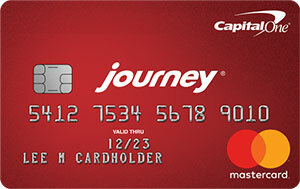 See our Capital One Journey Student Rewards Card Review for more information. Find out how you can apply for this card here. The Discover it® Student Cash Back card has similar benefits to the standard Discover it® Cash Back card. In particular, it has a nice cash back rewards program, unlike many student credit cards. All purchases earn 1% cash back, with no spending caps or restrictions. Purchases in quarterly rotating spending categories (such as department store or gas station purchases) earn 5% cash back, up to a $1,500 quarterly limit across all active categories. Quarters begin January 1st, April 1st, July 1st, and October 1st. Another nice benefit: at the end of your first year as a cardholder, Discover automatically doubles all the cash back you earned over the previous 12 months. Plus you get an additional $20 cash back every year your GPA stays above 3.0, for up to 5 years. One downside is that Discover it for Students is meant for students with good to excellent credit. If you have poor credit or a spotty credit history, you’ll have trouble qualifying. Sign-up Bonus: There’s no traditional sign-up bonus. However, Discover automatically doubles all the cash back earned during your first year, with no caps or limits. Rewards and Redemption: Earn 5% cash back in quarterly rotating categories, up to $1,500 in qualifying category spending per quarter. All other eligible purchases earn unlimited 1% cash back, including on 5% category purchases above the quarterly spending threshold. You can redeem your accumulated cash back in any amount as a statement credit, bank account deposit, check, or Amazon purchase credit. Key Fees: There’s no annual fee. Balance transfers cost 3% of the transferred amount. The cash advance fee is the greater of $10 or 5% of the advanced amount. There’s no foreign transaction fee or late fee for your first late payment ($35 for subsequent late payments). Introductory APR: 0% purchase APR for 6 months and 10.99% balance transfer APR for 6 months from the date of your first transfer, which must be made within 3 billing cycles of your account opening date. Other Perks: Discover it for Students comes with a free FICO credit score every month. Also, Discover’s Freeze It feature lets you turn off many account features, including the ability to make new purchases and cash advances, at the click of a button. See our Discover it® Student Cash Back card Review for more information. The Citi Rewards+℠ Student Card rewards students who spend heavily on gas and groceries – though, with points rounded up to the nearest 10 on every purchase and the first 100,000 points redeemed each year subject to a 10% bonus, other types of spending make out fine here too. Don’t ignore the 7-month, 0% APR purchase promotion, either. Springing for school supplies is never easy, but carrying that spending interest-free takes out some of the sting. Sign-up Bonus: When you spend at least $500 in eligible purchases on your card within 3 months of opening your account, you’ll earn 2,500 bonus ThankYou points. That’s enough to redeem for a $25 gift card. Rewards and Redemption: Earn 2X points on eligible supermarket and gas station purchases, up to $6,000 in combined category spending per year. All other eligible purchases earn unlimited 1X points, including supermarket and gas station purchases above the category caps. Citi rounds up to the nearest 10-point increment on every purchase (for instance, turning a 46-point purchase into a 50-point purchase) and boosts redemptions by 10%, up to the first 100,000 points redeemed. Key Fees: There’s no annual fee or foreign transaction fee. Introductory APR: 0% purchase APR for 7 months from your account opening date. Other Perks: Citi Private Pass gives you exclusive access to a host of sought-after events. 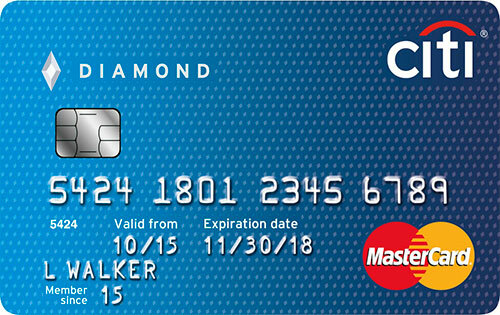 See our Citi Rewards+℠ Student Card Review for more information. Discover it® Chrome for Students is very similar to the regular Discover it Chrome card. Its cash back program is a bit different from the Discover it Cash Back card’s, though: dining and gas purchases earn 2% cash back, up to $1,000 in spending per quarter. Dining and gas purchases above this spending cap earn an unlimited 1%. All other purchases also earn an unlimited 1%. Like Discover it for Students, Discover it Chrome for Students pays you $20 cash back every year your GPA stays above 3.0, for up to 5 years. Sign-up Bonus: There’s no sign-up bonus, though Discover does automatically double all the cash back you earn during your first year. Rewards and Redemption: Earn 2% cash back on dining and gas purchases, up to $1,000 in spending each quarter. All other eligible purchases earn unlimited 1% cash back, as do dining and gas purchases above the $1,000 quarterly spending cap. You can redeem in any amount as a statement credit, check, bank account deposit, or Amazon purchase credit. Key Fees: There’s no annual fee or foreign transaction fee. Balance transfers cost 3% of the transferred amount. The cash advance fee is the greater of $10 or 5% of the advanced amount. There’s no late fee for your first late payment ($35 for subsequent late payments). Introductory APR: 0% purchase APR for 6 months and 10.99% balance transfer APR for 6 months from the date of your first transfer, which must occur within 3 billing cycles of your account opening date. Other Perks: Enjoy a free FICO credit score and Freeze It account lock. See our Discover it Chrome for Students Card Review for more information. The Wells Fargo Cash Back College Card is a student-friendly cash back card with, arguably, the most valuable rewards program of any card on this list. For six months after you open your account, you’ll earn 3% cash back on gas, grocery, and drugstore purchases, plus 1% cash back on all other eligible purchases. After the introductory period expires, you’ll earn unlimited 1% cash back on all other eligible purchases. That’s not the only introductory promotion for the Cash Back College Card. For 12 months after you open your account, you’ll enjoy 0% APR on all eligible purchases — the longest 0% APR introductory promotion on this list. Sign-up Bonus: There’s no sign-up bonus. Rewards and Redemption: Earn 3% cash back on gas, grocery, and drugstore purchases for the first 6 months your account is open. Earn unlimited 1% cash back on all other eligible purchases from day one. You can redeem your cash back for statement credits, bank account deposits, paper checks, and non-cash items such as travel and entertainment, generally at a $0.01-per-point rate. Cash redemptions must occur in $25 increments. Key Fees: There’s no annual fee. See Wells Fargo’s terms and conditions statement for additional fees. Introductory APR: 0% purchase APR for 12 months. Other Perks: Wells Fargo banking customers enjoy special account holder perks. See Wells Fargo’s website for details. State Farm® Student Visa® is a rewards credit card from State Farm, the ubiquitous insurer. If you’re looking for a spending aid that can meaningfully reduce your premiums costs for your auto and renters’ insurance policies, this card should be high on your list. Although there’s no sign-up bonus here, the rewards program is pretty nice for State Farm policyholders: you’ll earn 3 points per $1 spent on insurance premiums, up to $4,000 annually. Earnings on other purchases aren’t impressive at all — just 1 point per $2 spent. Rewards and Redemption: Earn 1 State Farm Loyalty Rewards point for every $2 spent on eligible net purchases. Earn 3 points per $1 spent on insurance premium payments with State Farm, up to $4,000 annually. Points are redeemable for gift cards, general merchandise, travel, and eligible State Farm products. Key Fees: There’s no annual fee. Foreign transactions cost 3% of the total transaction amount. Cash advances cost the greater of $10 or 5%. Balance transfers cost the greater of $10 or 3%. Other Perks: This card comes with Visa-backed benefits such as complimentary loss and damage coverage for rental cars paid in full with the card. As a secured credit card, Capital One® Secured Mastercard® is different from the credit cards listed above – and not just because membership isn’t limited to registered students. Before you start spending, you need to make a cash deposit of $49, $99, or $200. The deposit entitles you to a credit limit of anywhere from $200 to $1,000, depending on your creditworthiness. You can subsequently raise your credit limit by making an additional deposit. However, deposits can’t be credited against your purchases – you still need to pay your bill every month, just as you would with a normal credit card. If you demonstrate a pattern of timely payments over several months, Capital One may raise your credit limit without requiring an additional deposit. The biggest drawback of this card is its purchase APR, which is significantly higher than many other student credit cards. However, its fees are manageable, it’s available to students with poor or spotty credit, and the value-added benefits of Capital One CreditWise are definitely useful for students who want to track and build their credit over time. Rewards and Redemption: This card has no rewards program. Key Fees: There’s no annual fee or foreign transaction fee. Cash advances cost the greater of $10 or 3%. Late payments cost up to $38 each. Introductory APR: There’s no intro APR. Other Perks: This card also comes with Capital One CreditWise. 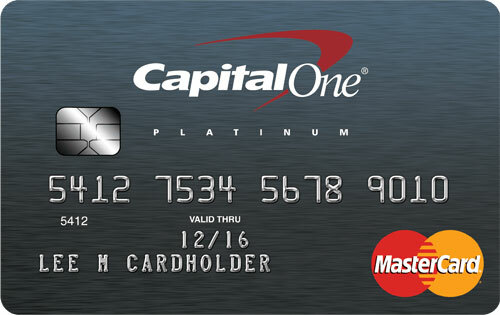 See our Capital One Secured Mastercard Review for more information. Find out how you can apply for this card here. Citi® Secured Mastercard® is another secured credit card with benefits for students – and, with no annual fee, it’s pretty cost effective. Before you can use this card, you need to first make a deposit of as little as $200 or as much as $2,500, subject to credit approval. That deposit is equal to your credit limit and can’t be credited against your purchases. If you exhibit timely payment patterns for 18 months, Citi may return your deposit and allow you to continue using your card as an unsecured, “normal” credit card. Citi Secured Mastercard has relatively lax credit approval standards. If you have poor or spotty credit, this is probably the best student card for you. And because Citi automatically reports your payment patterns to the 3 major consumer credit reporting bureaus, it’s also a great card for building credit. If you make timely payments, your credit score is likely to rise over time. Key Fees: There is no annual fee. Foreign transactions cost 3%. Other Perks: This card’s perks are similar to the Citi Rewards+ Student Card‘s, including Citi Private Pass. See our Citi Secured Mastercard Review for more information. You’ve heard all the clichés about starving students. While you’re hopefully not actually going without regular meals as you work and study your way through school, you probably don’t have as much disposable income as you’d like. Credit card issuers know that, on average, college students have less money than older people with full-time jobs. Accordingly, they tend to tightly restrict how much their student customers can spend on their cards. Don’t expect your first student credit card to come with an exceedingly high credit limit, particularly if your only source of income is a stipend or work-study job. The good news is that if you make regular payments, build a positive credit history, and look for ways to earn extra income on the side, your credit limit – and spending power – is likely to increase over time. Years from now, when you think back to your time as a student, you might just identify your first-ever student credit card approval as a decisive milestone on your personal finance journey. What’s your preferred student credit card?